Collect More Light. Keep More Light. Detect More Light. This may sound simple, but it’s the driving force behind all we do – because it makes for good spectroscopy. 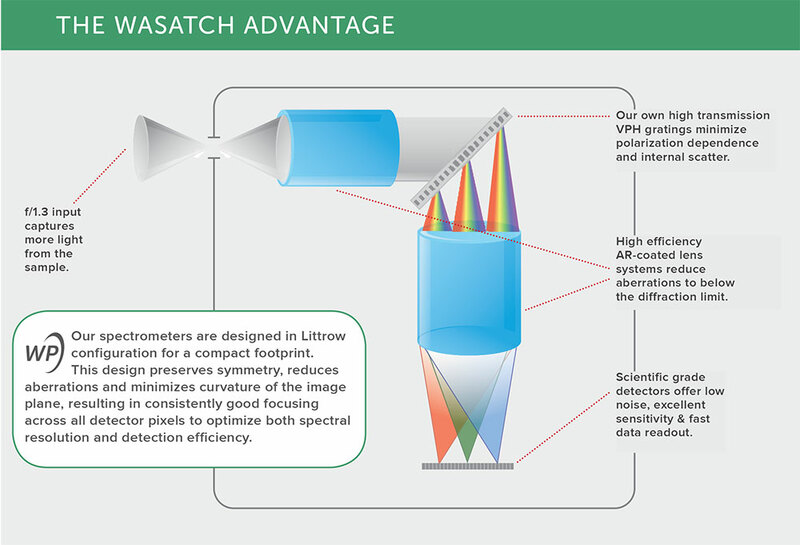 Starting with the proprietary volume phase holographic (VPH) gratings on which the company was founded, we’ve designed a spectrometer that maximizes efficiency at every step. By keeping more light in the optical path, we reduce stray light within the bench, thus increasing signal while reducing noise.